For more info, visit fieldworkbrewing.com. CRAFTY MOVE Fieldwork’s expansion to the North Bay is part of a growing beer scene in Napa. It's not all wine in Napa Valley. The area's craft beer scene is on the rise. Barry Braden was running a restaurant in San Diego when he met brewer Alex Tweet, formerly of Ballast Point and Modern Times breweries. The two quickly bonded over hoppy beers, relocated to Northern California and opened Fieldwork Brewing in the industrial setting of west Berkeley in February 2015. "It's been going really well for us," Braden says. "And one of the great things about our license, which is a small beer manufacturer license, is that we have the opportunity to open up to six what we like to call satellite taprooms." 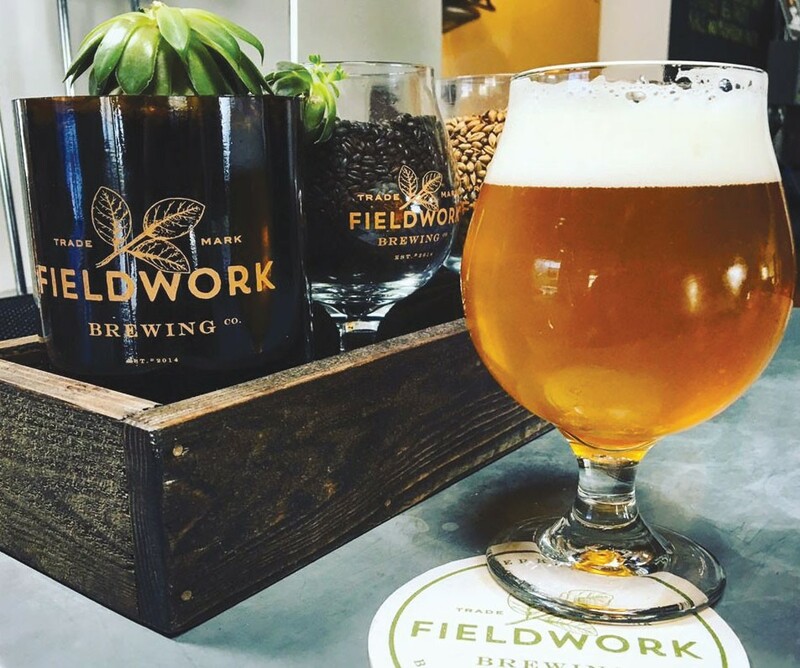 In addition to the Berkeley spot, Fieldwork opened its first satellite taproom in Sacramento in August, and now the brewery is working on its second satellite location, at the Oxbow Public Market in Napa. When Braden and Tweet open the new Napa taproom sometime in mid-October, they'll be joining a small but dedicated group of Napa brewers, such as Napa Smith Brewery, Napa Palisades Saloon and nano-brewery Tannery Bend Beerworks. One of the reasons Fieldwork wants to open these taprooms is to present and talk about their beer the way they want. Being able to control the process from grain to tap is a priority for the brewery. Directing the narrative of the many brews that Fieldwork offers is also important, since it produces many distinct and uniquely flavored beers. One of their rising stars is a Petit Verdot Grand Gose, a spin on the salty-tart beer originally from Germany, in which wine grapes are added. Fieldwork also excels at hop-forward IPAs and double IPAs, and nontraditional saisons, such as the Rancher Farmhouse Ale, which incorporates fresh lemon and black pepper aromas, and the refreshing Salted Cucumber Ale. All told, Braden estimates that Fieldwork has made 115 distinct beers since opening less than two years ago. "Our whole thing is to rotate beers so the people visiting the taproom can always expect to see something new on the tap list. That's the fun part," says Braden. Fieldwork is also dedicated to serving the beer as fresh as possible. That's why you won't see Fieldwork beers in cans or bottles at the supermarket, though a huge part of their business in Berkeley are the growlers and increasingly popular crowler cans that the brewery fills onsite. For Braden, the Oxbow location is essential to the decision to move to the North Bay, and he's excited to join the community there. "The city of Napa was very high on our list," he says, "though for us, it has to be about location." "There's a lot of demand for craft beer in Napa," Braden says. "I think Napa is an underserved market, and I'm hoping we can carve out our own little niche there." Tags: Arts, Fieldwork Brewing Co.